May 2014 - TheUrbanMusicScene.com | Music Reviews! 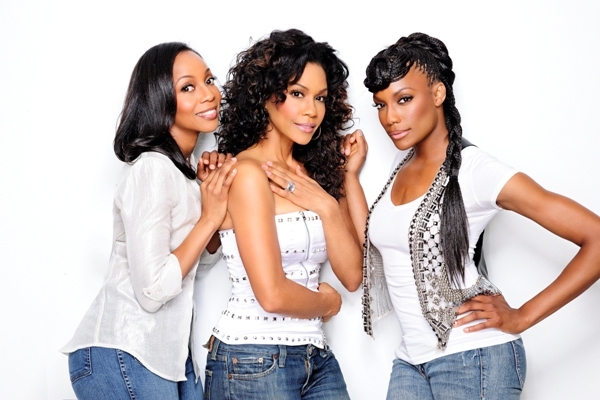 EnVogue Rocks L.A. Like Never Before! `90s Soul-Pop sensations EnVogue showed L.A. that they have seasoned well into a first class legacy act capable of entertaining audiences with a broad but satisfying cornucopia of fare. Original members Cindy Herron-Braggs and Terry Ellis along with longtime member Rhona Bennett took the stage as a well-oiled and united front giving fans the kind of show most have never seen from the group because – in their heyday – they were too often part of multi-artist/festival lineups that put a cramp in their stage time. As headliners on Friday, May 2, at the Saban Theater in Beverly Hills (formerly The Wilshire Theater), they took their sweet time and served their followers not just slices but the whole pie. EnVogue opened boldly with the catchy but obscure album cut groove “No No No (Can’t Come Back)” from their fourth CD, Masterpiece Theater, before launching into one of their biggest hits, “My Lovin’ (Never Gonna Get It)” – one of six of the group’s Billboard R&B chart-toppers.